Our Oil and Gas Leads comprise of accredited investors who have received Private Placement Memorandums for Oil and Gas Investment Offerings. These qualified investors have a history of investing in Oil and Gas projects within the past two years, and have expressed interest in receiving solicitations for future private Oil and Gas offerings. In the past ten years, oil drilling has increased dramatically and natural gas extraction has exploded. Hydraulic Fracturing, or “Fracking,” has allowed for investing in natural gas extraction for areas previously believed to be drained or barren, pulling even more money out of already profitable oil fields. As a result, private offerings for oil and gas ventures are much more prevalent. This is a double-edged sword for brokers offering Oil and Gas drilling investment opportunities; while there are more accredited investors looking to get in on private Oil and Gas offerings, there are also far more fraudulent Oil and Gas opportunities keeping investors cautious. If your company has created a solid, high-quality Oil or Gas private offering, we have the accredited investor leads to match. Our Oil and Gas Leads know what they are doing. They are all qualified accredited investors with experience investing in Oil and Gas offerings, and a few bad private offerings going around aren’t going to keep these guys out of their favorite investment market. With their vast industry experience, these accredited investors can smell Oil and Gas fraud a mile away. 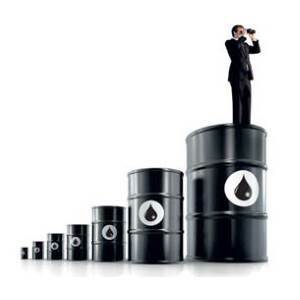 Lucky for them, these are AccreditedInvestors.net’s exclusive Oil and Gas Leads. They don’t have to deal with sub-par private Oil and Gas offerings, because we never let those offers reach them. Our service analyzes each new client’s offering before even considering selling them a lead list. If the private offering’s quality meets that which our Oil and Gas investors have come to expect, we are more than happy to provide that client with a targeted accredited investor lead list. The accredited investors are then more than happy to receive the chance to invest in another top quality Oil or Gas offering, and the client is more than happy to exceed their investment goals with an accredited investor lead list tailored to their specific offering. Everybody wins. Knowing all this, if you still think your Oil and Gas offering can match the quality demanded by our accredited investors, give us a call. We will work with you to verify that your private offering is legitimate and meets the SEC’s requirements under the specific Regulation D rule you intend to offer your Private Placement under. Once we have that information, we can create a targeted list of accredited investor leads based on a variety of criteria, such as financial status, investment experience, and industry preferences. Our targeted investor lead lists are tailor-made around your offering, giving you a drastically higher success rate than that of a generic accredited investor list. If you are ready to get your Private Placement Memorandum into the hands of top investors eager to jump on the investment, call 561-239-0364 or fill out a quote form today. Welcome to AccreditedInvestors.net. I want to take some time to talk about oil and gas leads, oil and gas lists, they’re the same thing. Accredited investor leads, they’re pretty much the same topic, but it seems like a lot of people come to the Internet and are requesting different types of keywords. So let’s get clear on what is an oil and gas lead, what is an oil and gas list, what is an accredited investor. So what every one of these people have in common, and what makes us different than everybody else in the business is we don’t rely on Costa Rica or the Philippines, some foreigners to call up accredited investors and survey them, for God sakes. Please, that’s not gonna work. Even an American, at 12, 14 bucks, 15 bucks an hour conducting a survey, what real accredited investor has time, let alone is going to give up private information about his net worth, his liquid dollars, and so on? So, what makes it work for us and has worked for 25 years, by the way, 25 years, A+ rating without one complaint. What works for us is we buy people that have been mailed a private placement memorandum. So this oil and gas guy, he’s hoping to close the deal. He’s hoping that when he finishes sending the private placement memorandum to him, that he closes, the guy sends a check (and of course, he’s entitled to a 10% commission). That’s the kind of lead I want to have. I want a guy that has skin in the game. I want a guy that’s got a branch manager that after the month’s over and he puts out 20 packages, the branch manager says, “Hey, you didn’t close one of these people.” That’s the kind of pressure I want. That’s what I want to know when I buy a lead. That this guy’s not just some guy who’s just putting out what we call wallpaper. He’s looking, and he’s listening, and he really believes that this guy has a shot at becoming one of his clients. So if you’re looking for “oil and gas leads”, “oil and gas lists”, “accredited investor oil and gas leads”. There’s so many different keywords, but they all cover the same exact thing. That’s what we do. These are all people, recipients of private placement memorandums. If you have any questions, call me, 561-981-8777. In the meantime, have yourself a beautiful day, and God bless. You may also request a quote or chat with us here online.